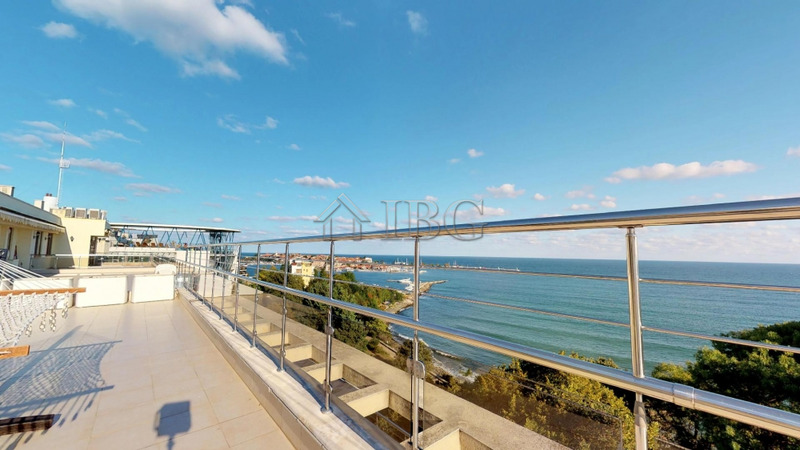 IBG Real Estates is pleased to offer this very spacious penthouse, located on the 5th and 6th floor in the beachfront Panorama Beach complex in Nessebar. The apartment is 328.63 sq.m., in excellent condition and for sale furnished. It consists of 3 bedrooms, 2 bathrooms, living room with kitchen/diner, big terrace with superb Sea view and a storage room. The apartment is for sale with a parking in the underground garage in the building. Vigo Panorama Beach is located in the new part of Nessebar, next to the beach and it is open all year round. The complex offers indoor and outdoor swimming pools, pool bar, relaxation room, Jacuzzi, fitness, Restaurant, spacious lobby, reception and much more.